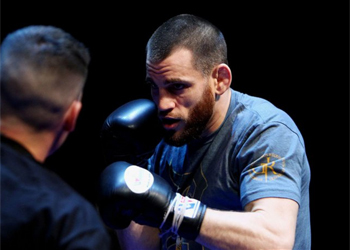 According to MMAWeekly, an undisclosed injury will force Jon Fitch out of his eagerly anticipated rematch against BJ Penn. The welterweight top contenders were slated to headline UFC 132 on July 2nd inside the Mandalay Events Center in Las Vegas, Nevada. The 170-pounders fought to a highly controversial (29-28 Fitch, 28-28, 28-28) majority draw at UFC 127. After 15 grueling minutes of action, two of the three judges deemed there wasn’t enough evidence inside the Octagon to declare a definitive winner. Both superstars felt they had each done enough to leave Sydney, Australia with their hand raised. While it’s possible the UFC could postpone the matchup until Fitch is fully healed, the extent of his injury will play a direct role in that decision. If he’s going to be shelved for an extended period of time, it’s likely Penn could be assigned a different opponent this 4th of July weekend.